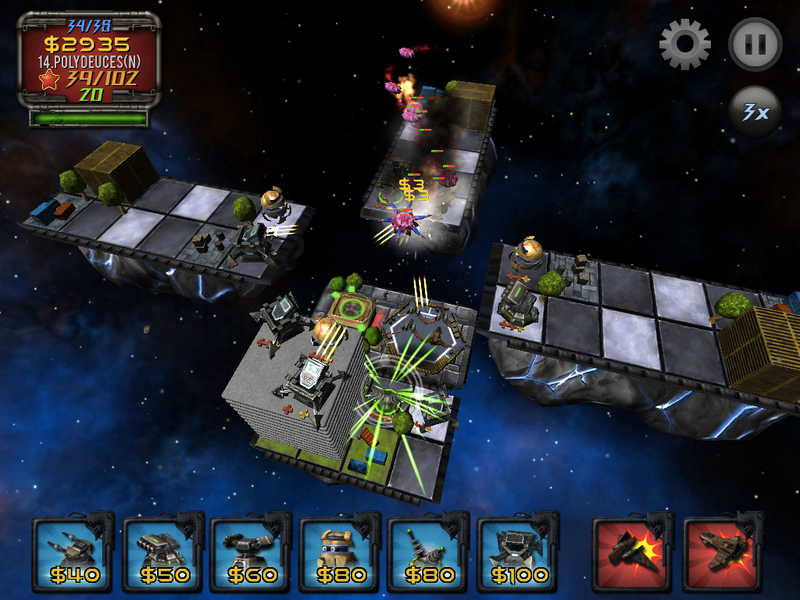 Saturn Defense for iOS ―Tower Defense Done Right! — Mobers.ORG — Your Daily Source For Mobile FUN! The game fancies a storyline where Earth has run out of all fuel and people have been sent to the moon and Saturn’s ring to gather resources. On the way, they battle through various alien species not letting them move forward. 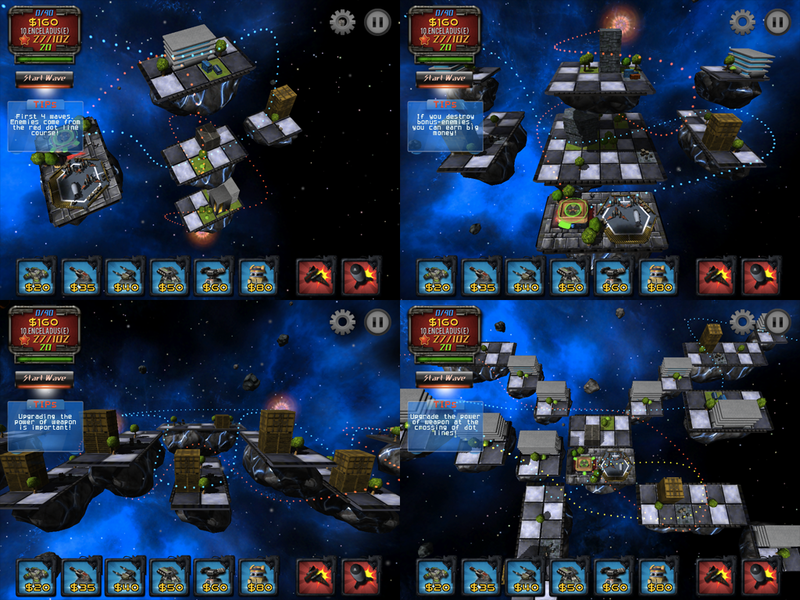 Aliens arrive from an entry vortex and aim to attack our fuel base. It takes traditional tower defense and amalgamates it with a sci-fi storyline; hence appeals to both, retro and modern gamers. The interface is typical and easy to navigate. Saturn Defense has all the features any defense game should have: the aliens take a given path in every level and we place weapons in their way to take them out. The pathway that aliens take is viewable as a curved line before the level starts. As the game progresses, it gets more difficult and baddies may come from more than one direction. The entire map can be scrolled around by easily swiping the screen in the desired direction. Players can choose from more than 18 weapons ranging from a speed gun to spider webs, however, a maximum of only 6 can be equipped for every level. Each weapon has its own power and range, which can be upgraded using money. Additionally, like most games, items such as drones can also be equipped for assistance in the battle. Only two of them can be equipped at an instance, and are recharged over time. Items are deployed at will ― simply by dragging the item and targeting an area. What’s different from other games is the ability to select a hero. The hero stands near our base and defends it from an attack. One hero from a total of 6 is chosen for every battle. The information for amount of cash, stars and remaining health is viewable on a HUD at the upper left side of the display. If the entire health bar depletes, the level is lost. 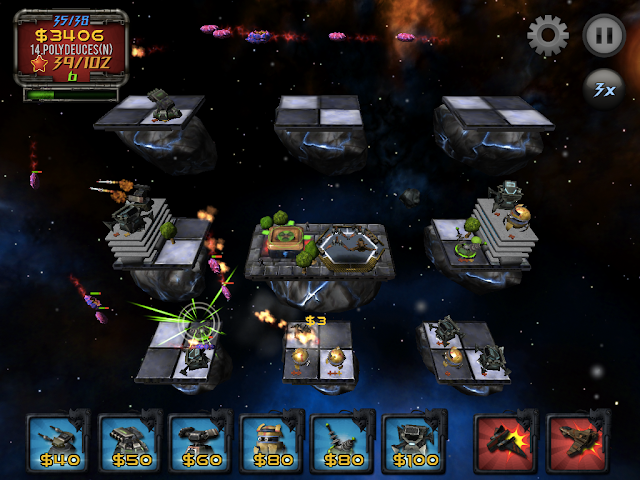 Each level is given stars for completion, which are required to unlock some weapons. 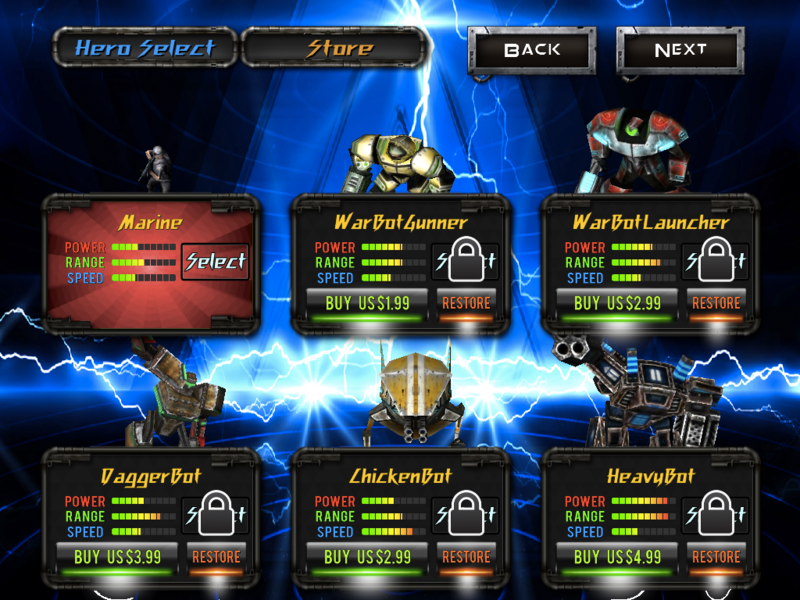 Killing enemies gives money to buy weapons during the game, and each of the species has variant amounts of cash rewards. Every level has 20 waves of enemies, one after the other. It boasts over 30 different kinds of aliens, from little bots to huge modernistic alien ships. Graphics are unlike other games; high resolution 3D graphics with extremely detailed weapons, monsters and environments. Such visuals are hard to find for games of similar nature ― making it almost perfect. Having said that, I would recommend everyone to get Saturn Defense! It provides hours of fun and is hard to get enough off.